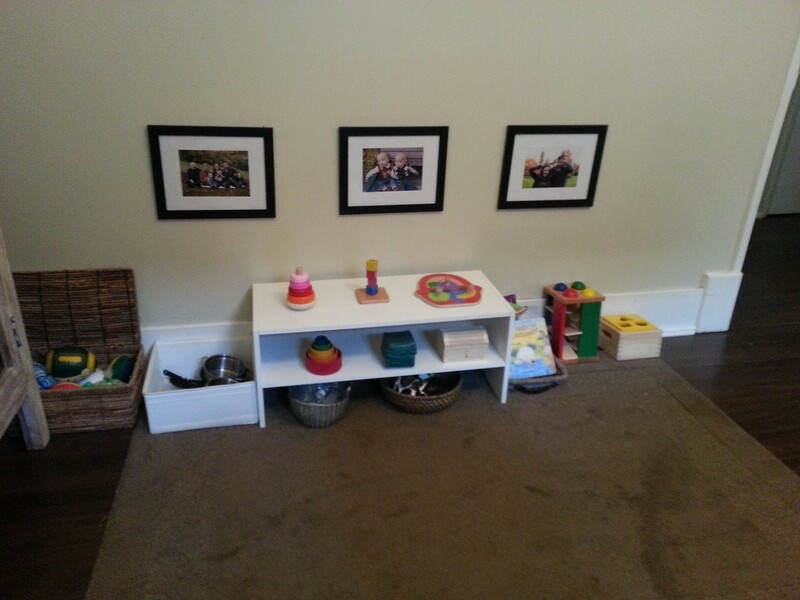 What’s on our Play Shelf at 13 Months? 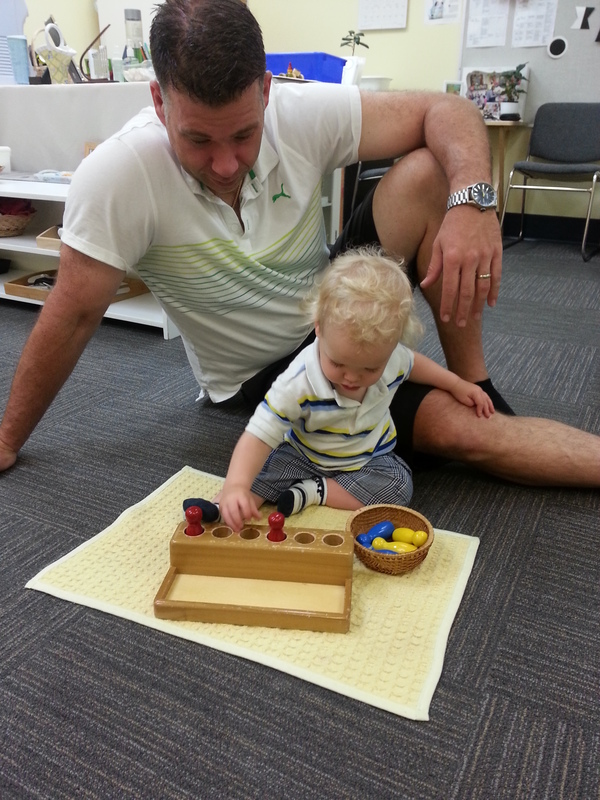 At 13 months we have had a big shift in interest and R and P are loving the new activities I have put out for them. 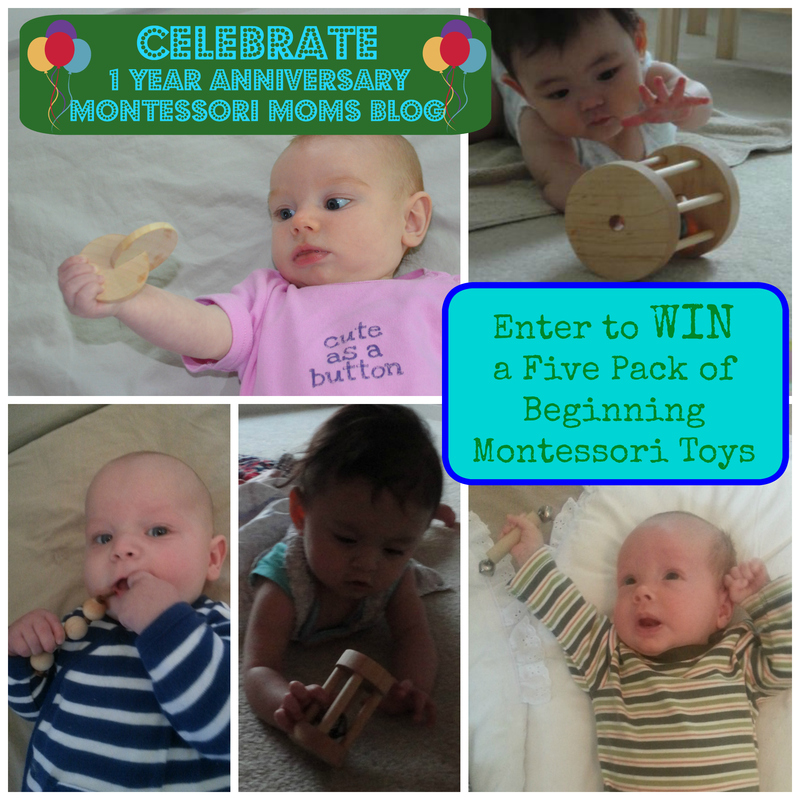 I first introduced these activities many months ago with the series of ring stackers I have from Beginning Montessori Materials. They worked for months on just taking the rings off, then finally figured out how to put them back on. 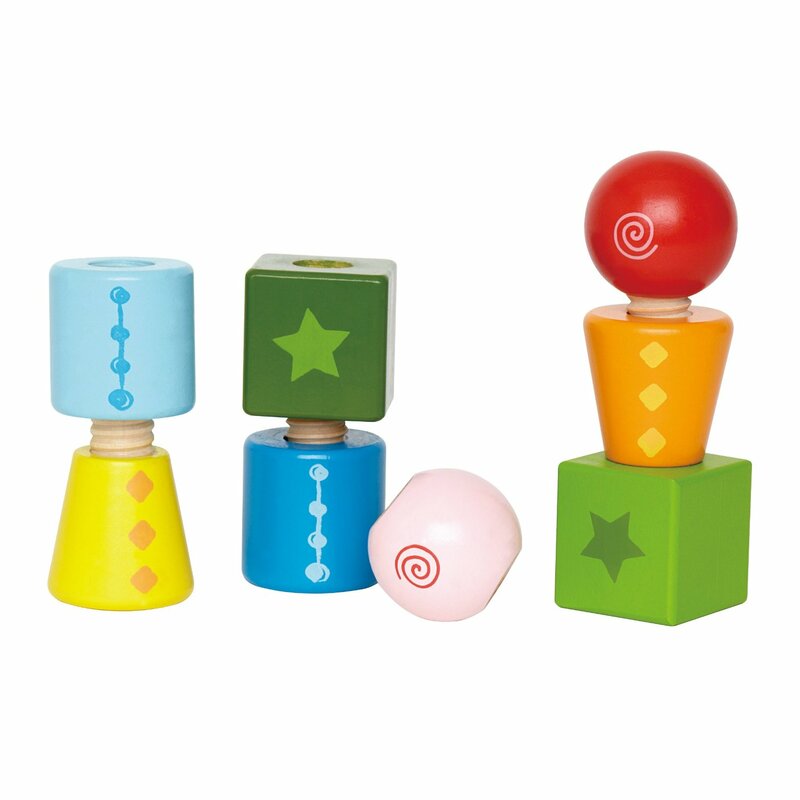 Around a year, their hand-eye coordination seemed to improve dramatically and all of a sudden they were able to work with more challenging wooden rings and cubes and take them off AND put them on. 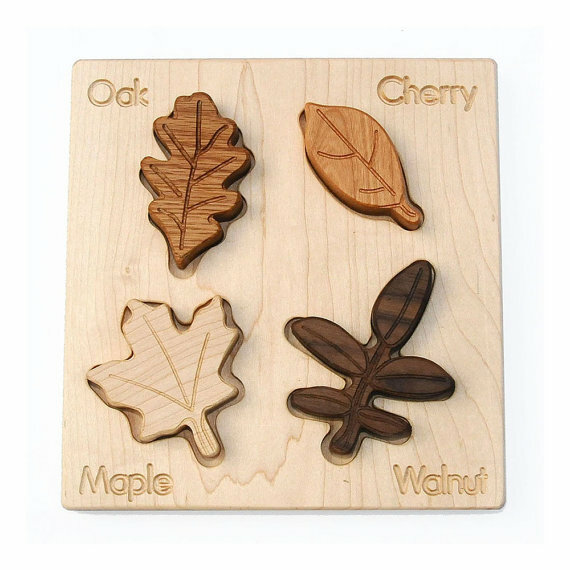 I have the shape puzzles out and they are just starting to get interested in them (as well as other simple ones that are small in size and have larger knobs). There is a fantastic one by Sapienza that I have in my classroom and it is honestly one of the children’s favourite activities for years. 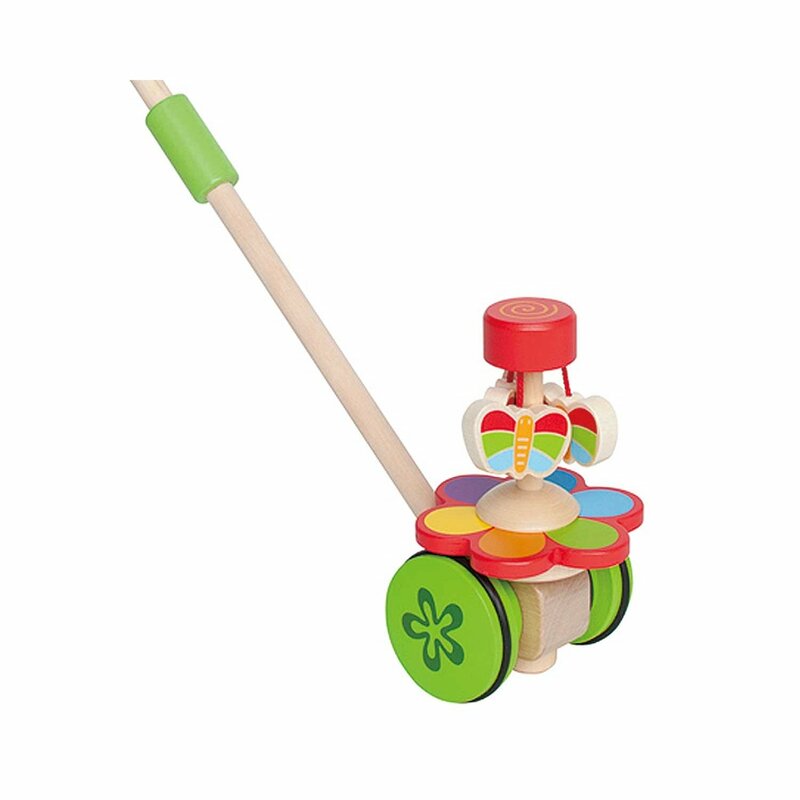 I tried to find one similar locally and settled on the Melissa and Doug 4 ball tower and took away the hammer. I wanted the boys to learn to exert effort with the strength of their own hand and showed them how to push the balls through. I had an old box from Michaels Craft Store that I made into a make-shift slotted box by pulling off one of the wooden slabs and they love it. I also got the wooden chips from Michaels, and have 3 circular ones and 3 square ones. Similar to the other activities, I do always show the boys how to do the activity first and then invite them to have a turn. This is a great one for repetition and object permanence. 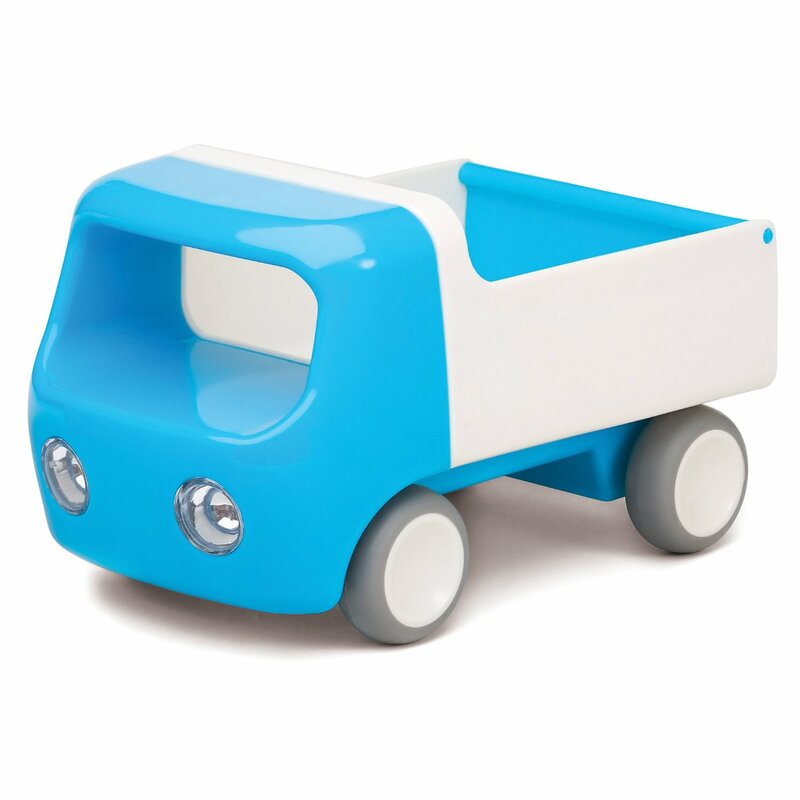 I have the Nienhuis one in my classroom and again, wanted to find one locally for my boys at home. 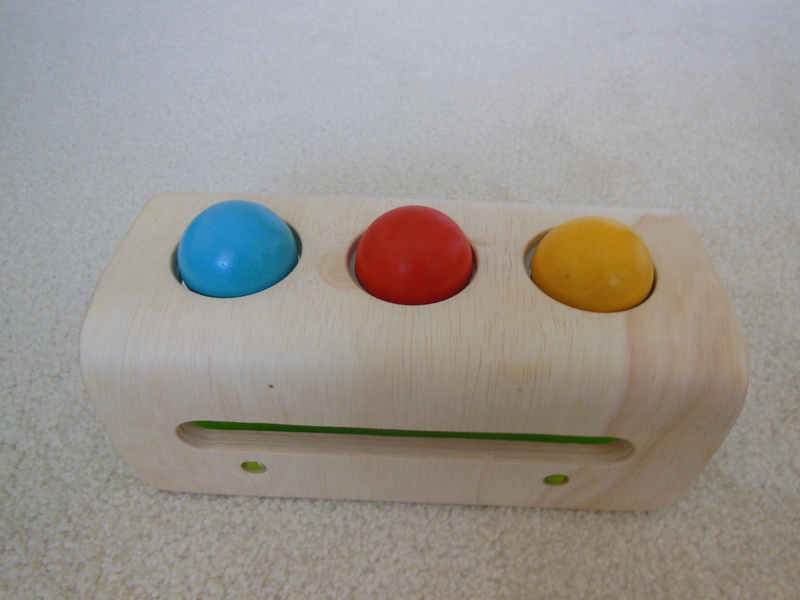 I settled on the Hape three shape sorter as I wanted it to be not too overwhelming with too many shapes, as well as I wanted them to be successful getting them out by themselves. I wished the lid had a hinge but they figured out how to take it off, take out a shape (seem to only take one out at a time), put back the lid and then attempt to put the shape in. If I am sitting with them I remove the lid, take out all the shapes, and then put the lid back on for them. Another favourite! I collect bottles always when I am on vacation from hotels, etc., then wash them out and use them in my classroom and now at home. I put together a collection of about 10 different ones (also use the travel containers you can buy at any local drugstore) in a basket and show how to ‘turn’ the lids on and off. They definitely love this one (haven’t quite figured out how to turn their wrists yet) but once the lid is off, like putting it on and off. Since R and P seem to be craving language and want to know the names of EVERYTHING, this basket seems like a necessary activity. The difference in this is that when we introduce language objects, an adult always should be present to offer the child the right names. So it is very much an adult directed activity (naming each animal, letting them hold it, and then asking for certain ones “Where is the duck?”). 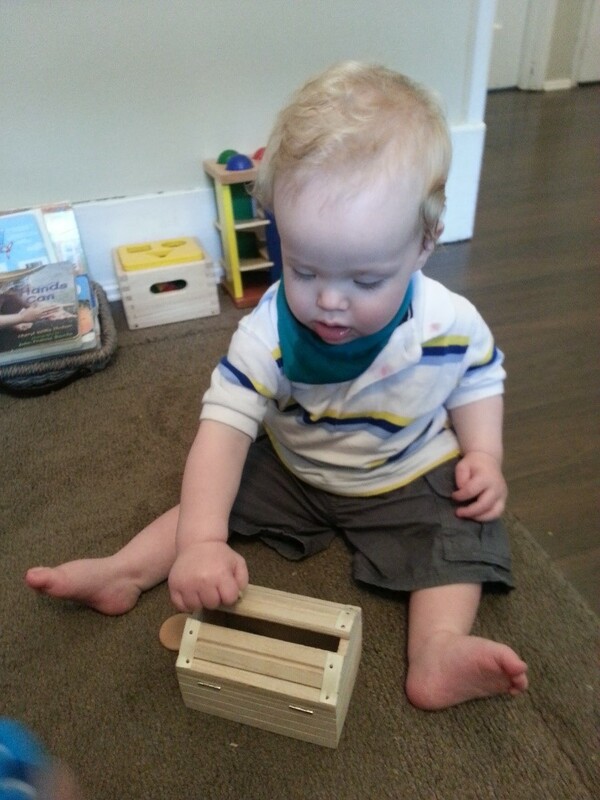 This also has been a great activity as they love to take things out and put things in baskets/cupboards/drawers/etc. so we always put the animals back in the basket when done. This basket is a saviour! Not only are they loving to throw and chase after these balls, but it gives them an outlet as they love to throw. Their mind is now telling them, I can control my body. I know how to grasp, pick up, etc and now I want to exert my effort. In the beginning they don’t know the boundaries of what is ok to throw and what isn’t, so this is where we need to be the positive role model. Many times a day I say things such as, “The bottle is not for throwing. We throw the balls.” And then I pass them a ball to throw. I am not joking that the last time I said that, P went HIMSELF to the basket, picked up his own ball, threw it, then smiled at me! They understand SO much without being able to speak and we must remember this. We cannot forget the books! 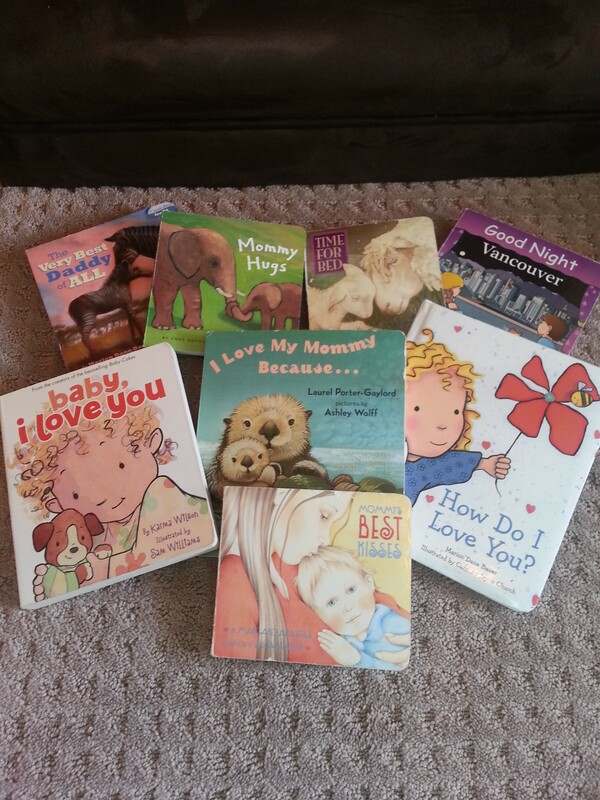 The boys LOVE their basket of books (which I rotate every few weeks) and choose to look at these often. They take one from the basket, put it in front of them and know how to flip through the pages. The majority of the time they will pick up a book at pass it to me with an “aadddaa?” Meaning, read this to me please? 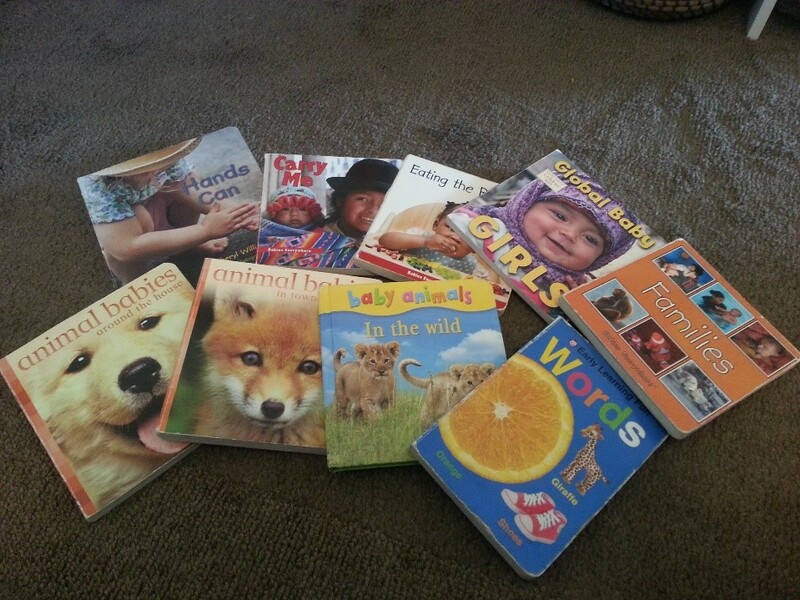 We have another collection of more ‘story-type’ books in their bedroom that we read before naptime and bedtime (both R and P get to pick one that he would like me to read). 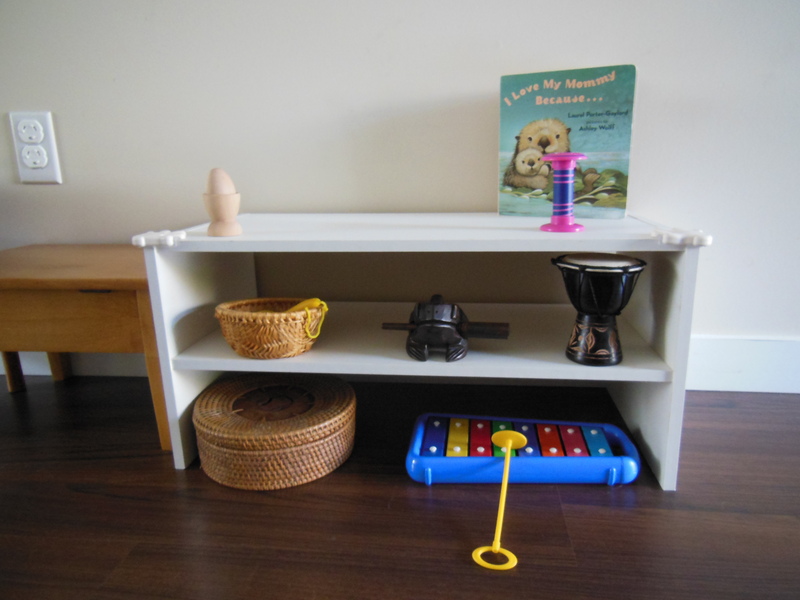 What’s on your play shelf that your child really enjoys right now? 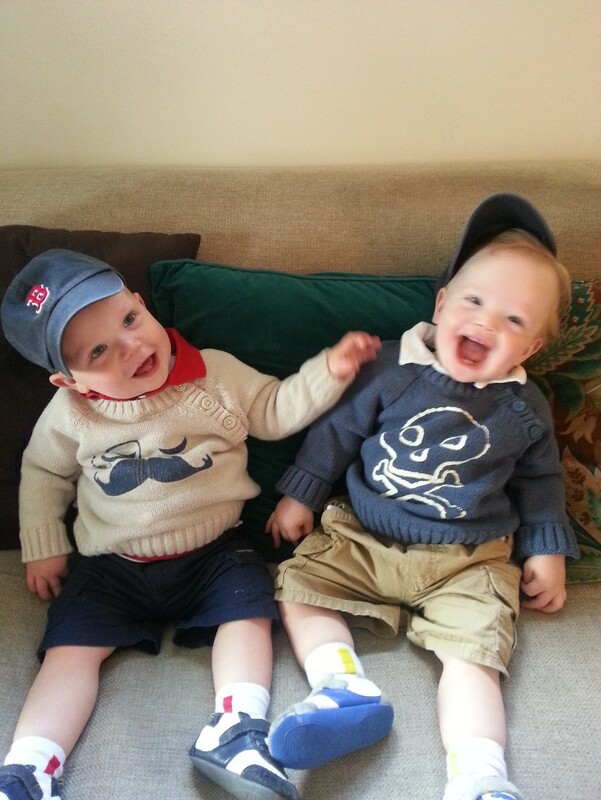 It feels like forever since I have shared what has been going on with R and P as we have been extremely busy with travel, illness, work, visitors, etc., but I am happy to take the time and let you know about a very exciting thing that happened a couple weeks ago…..R and P started school! 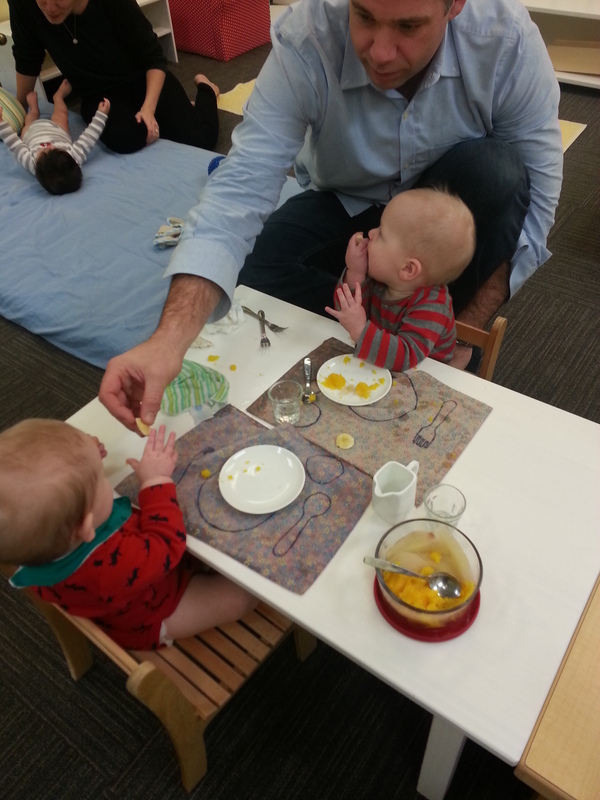 Although I spend every day either incorporating Montessori methods at home with my twins or running Parent-Child classes for others, this is the first time my two worlds came together. When I started Aid to Life Education 4 years ago, I knew that I wanted to offer something different. 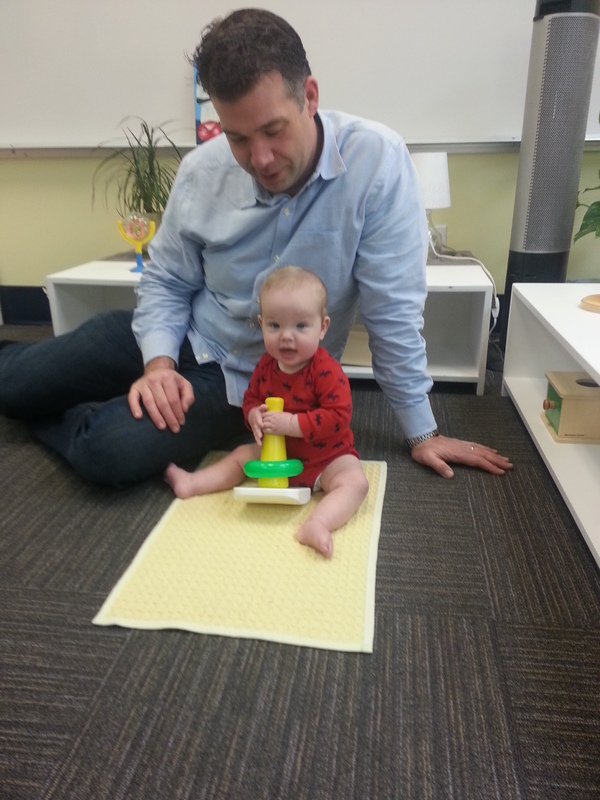 I chose to walk away from teaching Montessori in the traditional sense and create a program that is in need – to work with parents and their babies. The first few years (especially the first year) in raising a child is overwhelming to say the least. And I wanted to create an environment to support moms during this time, while aiding the children in the development of concentration, language acquisition, coordination of movement, independence, and instill a love for learning. 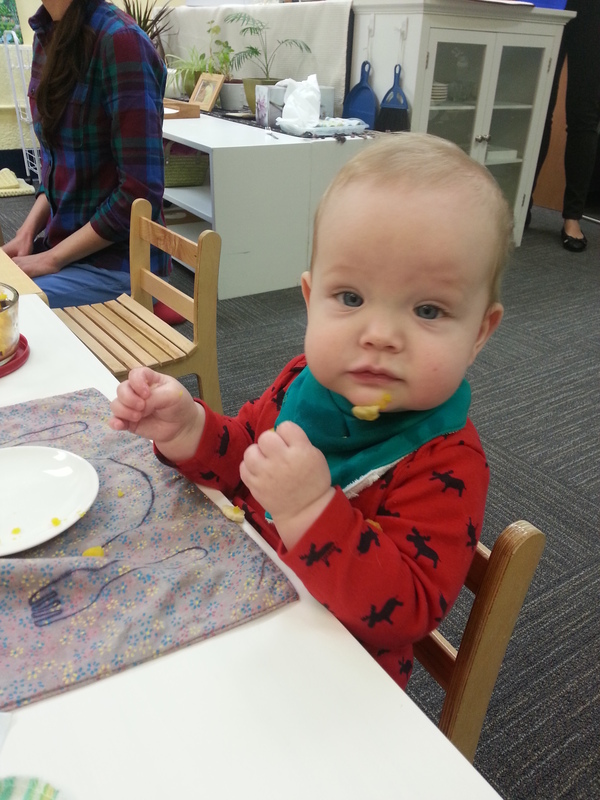 The Parent-Infant program runs weekly on Mondays and I hired a lovely AMI Infancy trained teacher to run the classes so I can attend as a parent. It was actually quite easy to keep the ‘mom-hat’ on and focus on being with the boys in a beautifully prepared environment, along with the other families. 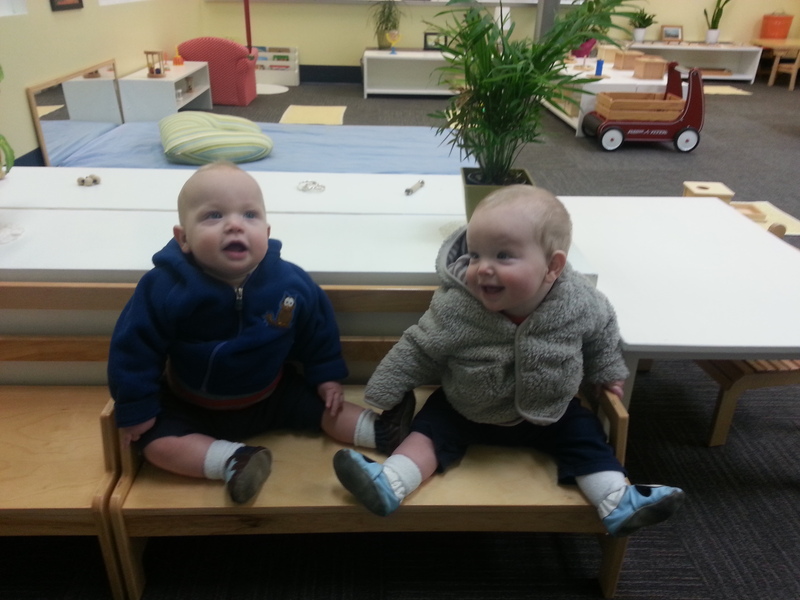 Once we arrive to the classroom, I sit the boys on the child size bench and remove their coats, socks, shoes, and pants. Because they are in a very active stage, it is extremely important to keep their legs and feet bare (as much as possible) in order for their clothing not to restrict their movement. I am ‘that mom’ with my camera on the first day, snapping pictures during the whole class to document everything! R and P sit on the bench upon arrival. We are then ready to enter the class and set the boys up with their own activities on mats. 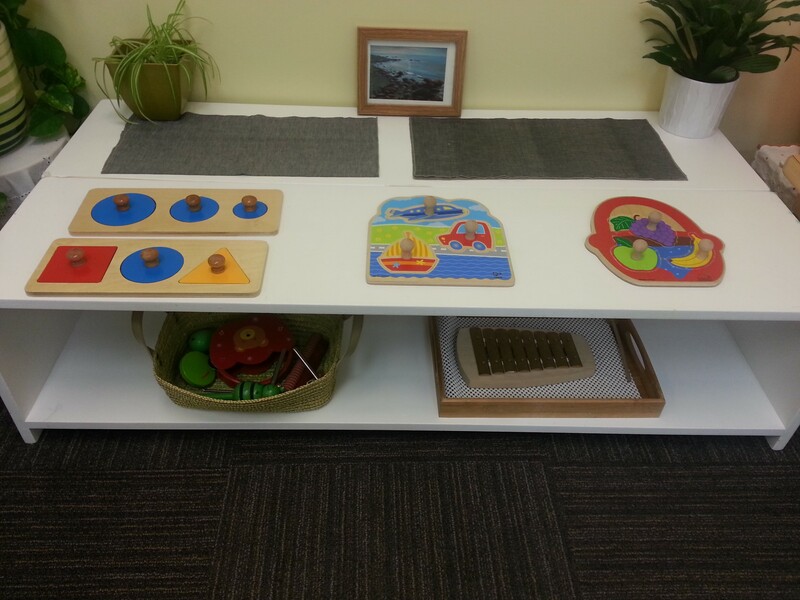 The shelves are low, there is a movement mat and mirror, and many different activities for grasping, hand-eye coordination, language acquisition, etc. 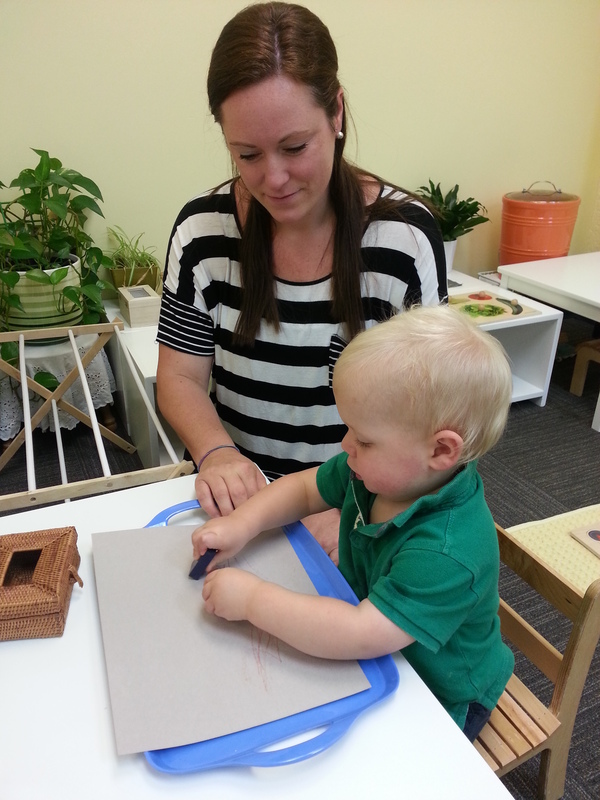 Over the next hour, R and P get the opportunity to try some materials that we do not have at home such as the spindle with napkin rings, the object permanence box, the bar to learn to pull up, the walking wagon, a language activity with forest animals, etc. And we get the opportunity to enjoy one full hour of being absolutely present with our children. It is a win – win! R and I do a Language Activity together. 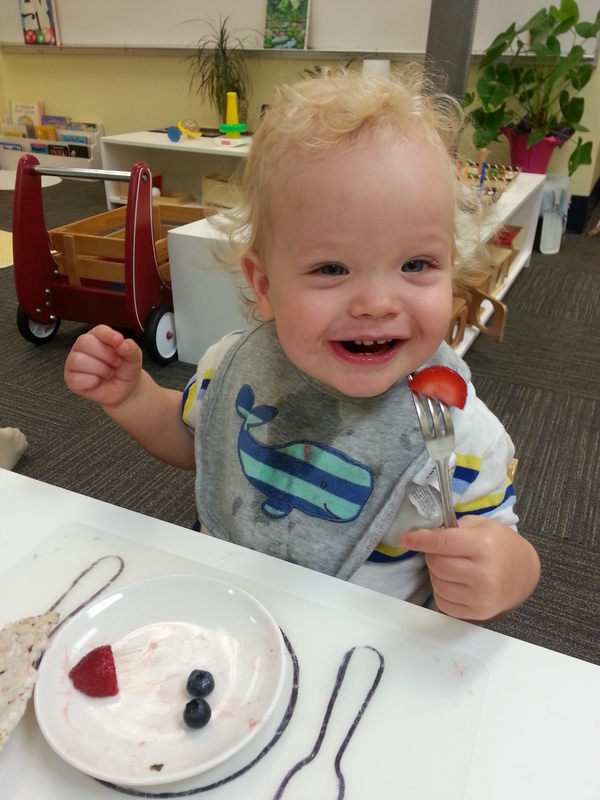 Next, all the children sit together at low tables for snack time and we set them up with placemats, plates, cutlery, and glasses. 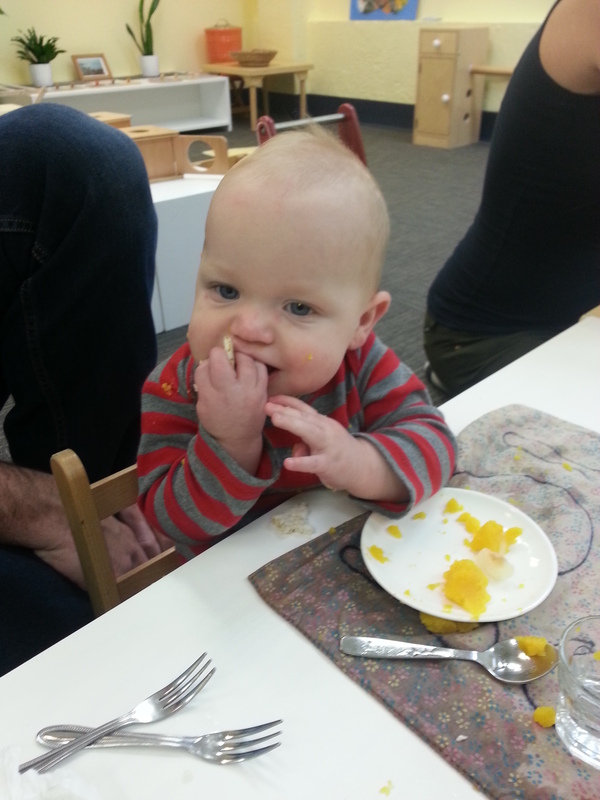 I have been implementing Baby-Led Weaning with the boys (to be discussed in a future post) so they are able to feed themselves off their plates. It is great to see them so capable although it does create a big mess! The first birthday of a child is a big deal for a parent. There are so many decisions to be made such as the amount of people to be invited, the type of food to be served, and the place to have the party at, etc. When I finally made all those decisions and planed a big party another issue came up. 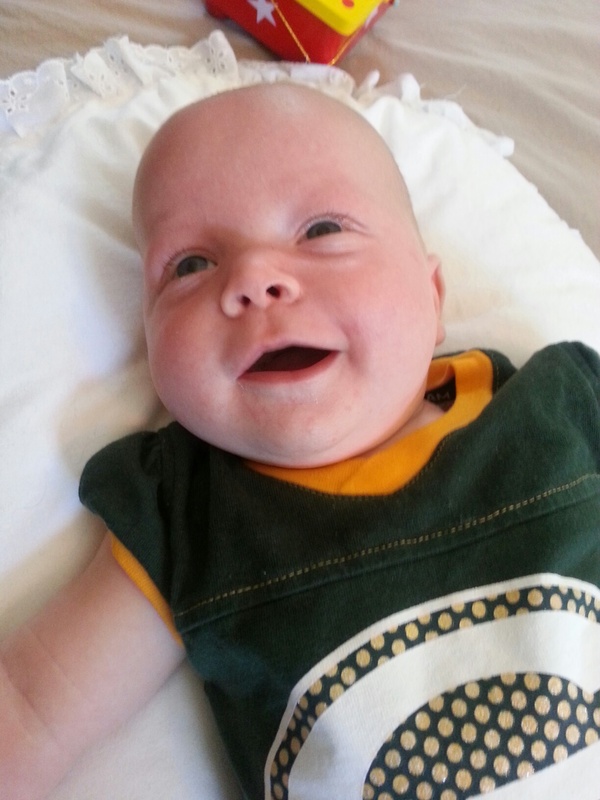 Some people began to ask me: what would I like them to give F for her first birthday party? They said could you give us some ideas? They know I like to choose carefully what kind of toys she plays with. Then I started looking for toys that I knew she would like to play with, that were durable, pretty and challenging for her. I didn’t want to dictate people what to give F for her birthday but I did want to guide them so they had an idea of what she usually plays with. An important note: Many of links that I used for this post are from Amazon because it was easy for me to find a link and a picture. I noticed that some toys are more expensive at amazon. I told people to look for them at their different local toy stores and they were cheaper. 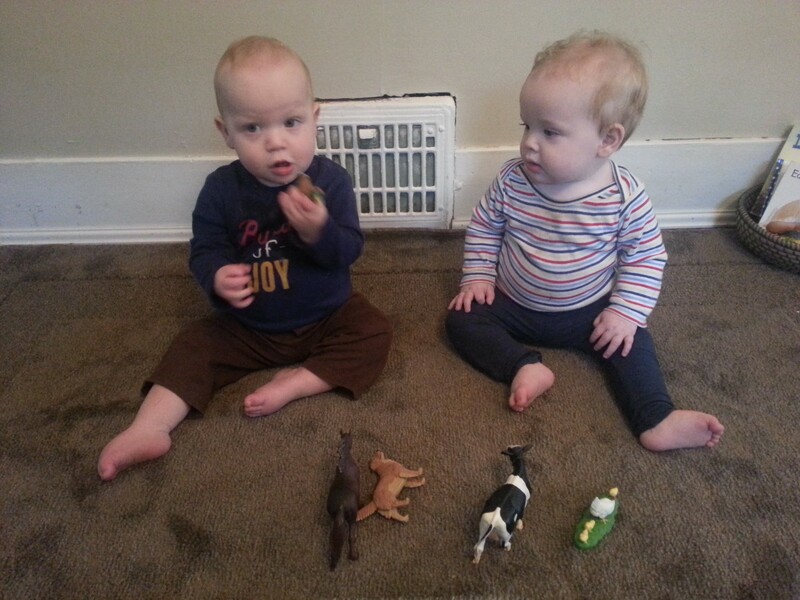 She has these toys and I believe they are great for one year olds. Balls are always fun, so find one that is not too big or hard. A friend got me one that lights up and F absolutely loves it. During our training we spent a good deal of time learning about the Anatomy and Physiology of the Human Body in order to have a clear understanding of what aids to give the child throughout his or her early years. Our five senses begin to develop in utero and specifically the eyes begin to experience some light and darkness influenced by where the mother lives, the time of year, etc. but that is about it. 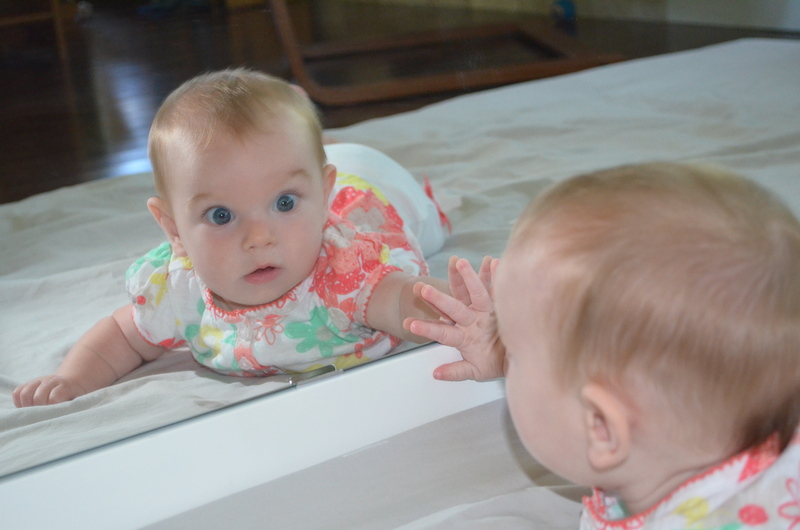 At birth, the child can only see approximately 30cm/12 inches in front of him or her. Amazingly, that is the exact distance from the mother’s eyes to her breast! I was truly blown away when this was pointed out to me. Nature is so wise. 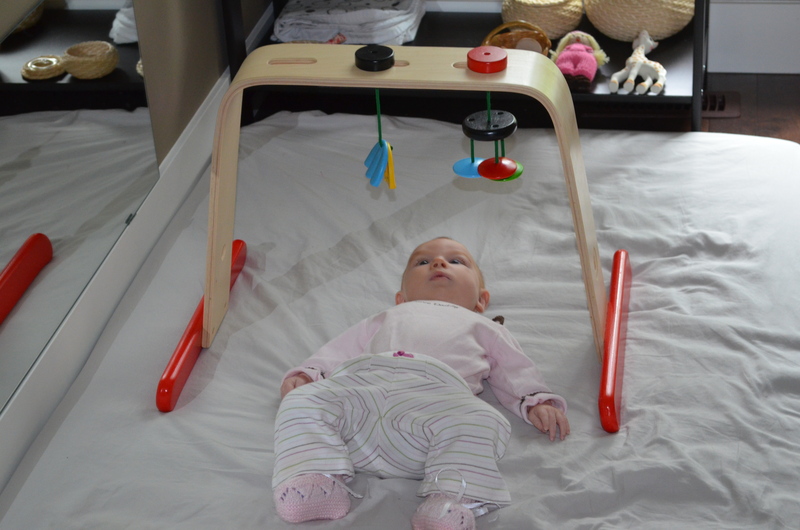 For the first two weeks we allow the newborn an adjustment period and after that we begin placing him or her under the first Montessori mobile, the Munari. 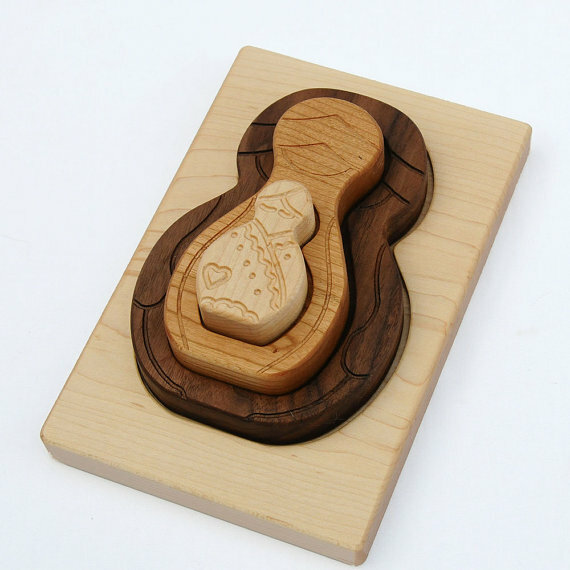 One of the special key factors about the Montessori mobiles is that we offer them to the child when he or she is awake and alert. More commonly, you see commercial mobiles hanging over the area where a child sleeps. 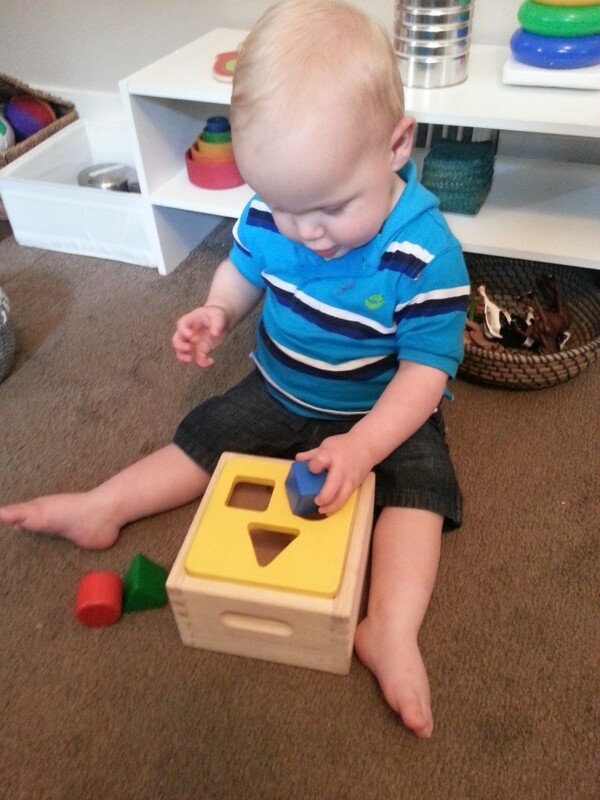 For us, the purpose is to help the child learn to focus, track, and develop his or her visual sense so he or she needs to be actively engaged and not in the process of falling asleep. The Munari is a black and white mobile made from 2 dimensional geometrical shapes. All the shapes and dowels are balanced off of a glass ball which reflects the light. 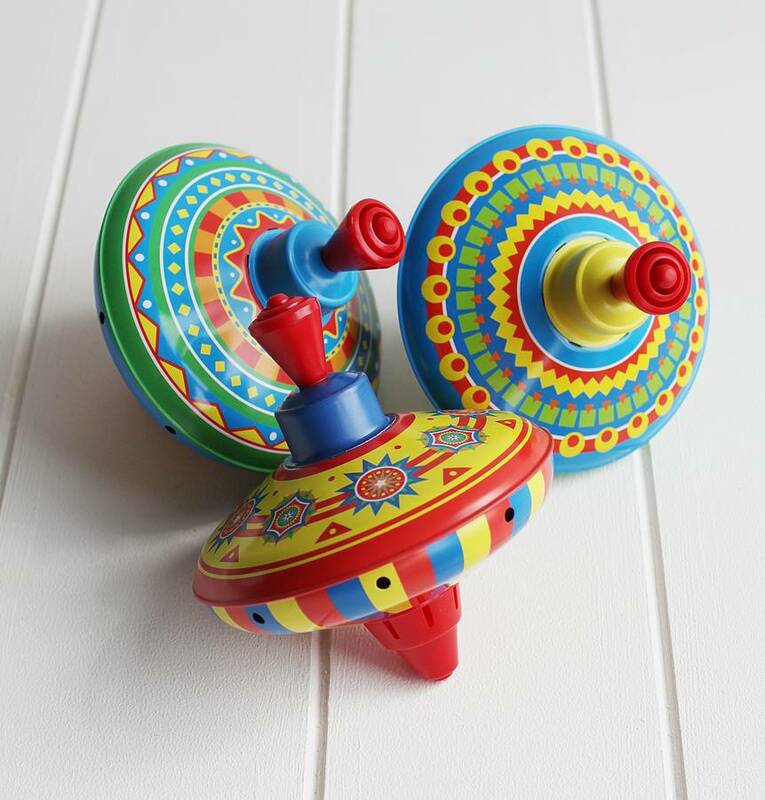 This mobile moves very slowly in the environment (just by natural air flow) which allows the child to observe it with great concentrated energy. The newborn is unable to see colour so the Munari is black and white in order to give the child the greatest contrast in shades. 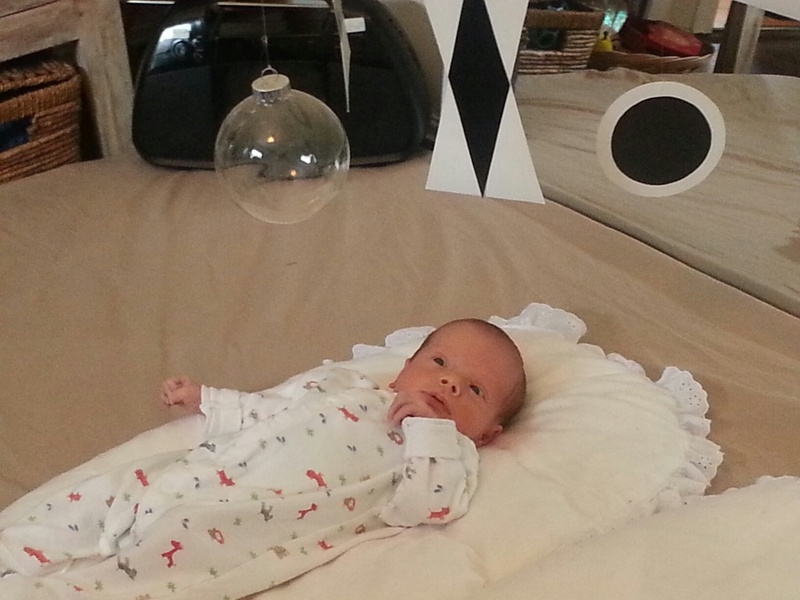 Also, as the newborn visually studies his or her environment, he or she picks up that objects are made from linear and curvilinear figures so the Munari offers these geometric shapes to the child. 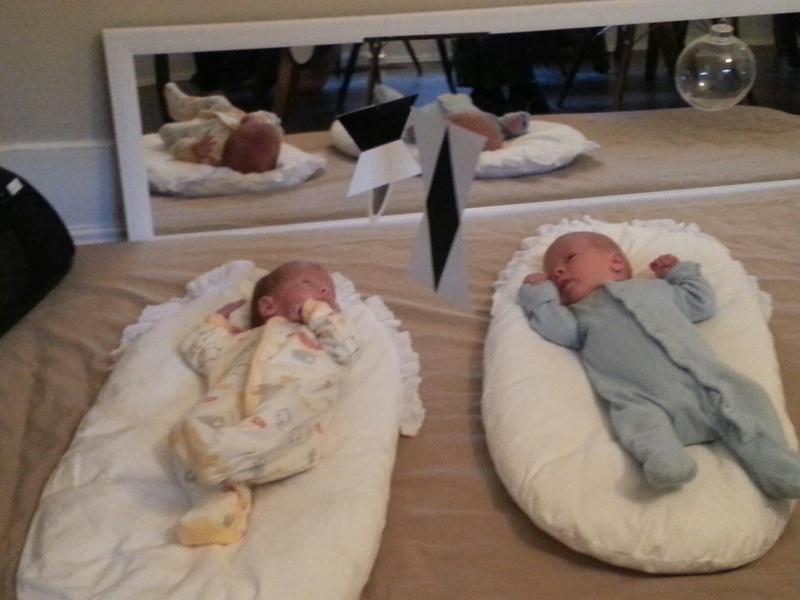 Because I have twins (and my husband only let me put one hook in our ceiling) I placed both boys under the Munari at the same time. It was hung from the ceiling to land approximately 30 cm from their line of sight and not directly above them – more so they could look at it on a slight angle. 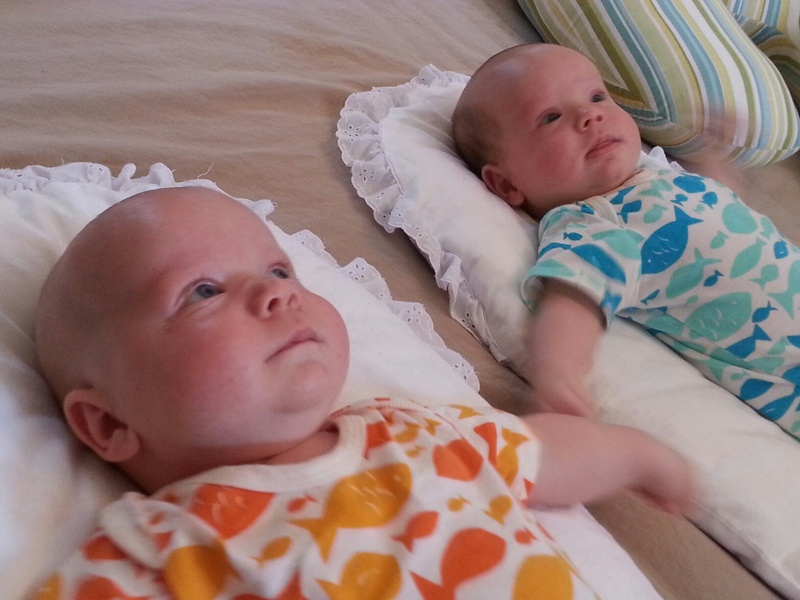 I found this time very special (once R was ok spending more time on the movement mat) and really enjoyed sitting back and observing them while they concentrated on the mobile. They became fascinated with it for longer and longer periods of time and of course they couldn’t move yet (except for random non-voluntary flailing of arms and legs) so this became a time when I could also grab something to eat and have a cup of coffee! Definitely a win-win situation. I kept this mobile up for almost 2 months. 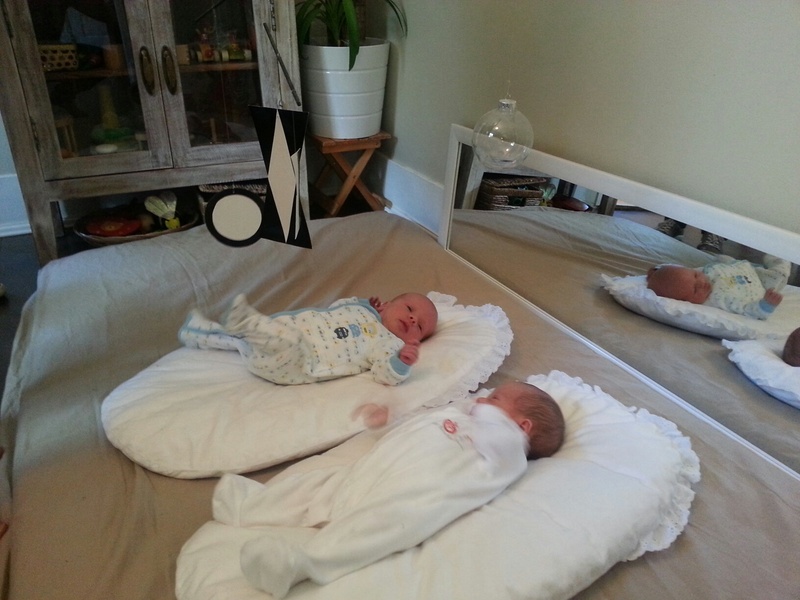 When I observed that the boys were disinterested in it after a period of time, I would simply hook it up against the wall so that they could still stay on the movement mat and I would introduce another activity such as listening to some music, looking in the mirror, or grasping one of the rattles. Right from the beginning we try to encourage only doing one thing at a time in order to help with the development of focus and concentration so each of these activities was done in turn. Eventually, it was time for the Munari to be replaced with the next Montessori mobile in the series and it now hangs ready to be loaned out to another family with a newborn. 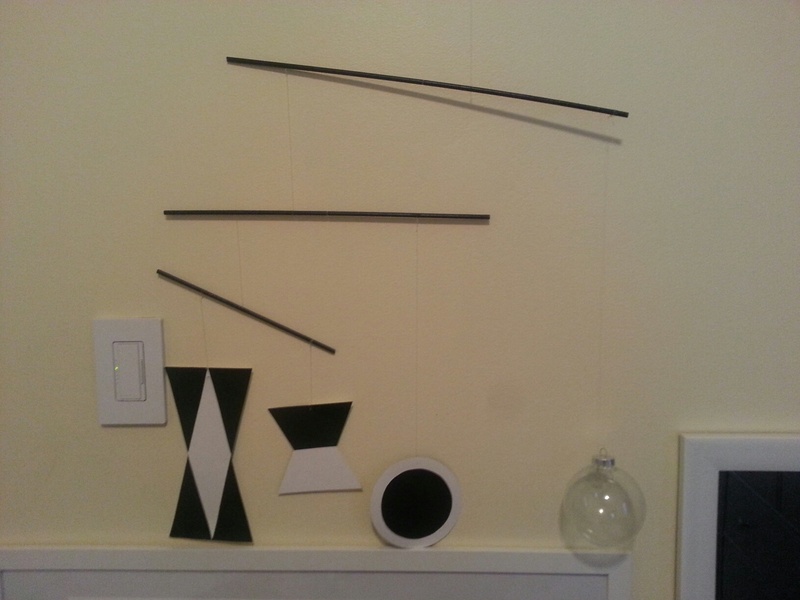 Three thin wooden dowels (painted black), a glass ball (ornament), shiny black poster board paper (white on other side), fishing line, scissors, and glue. I was able to find all materials at a local craft store we have here called Michaels. The Munari has three different levels. 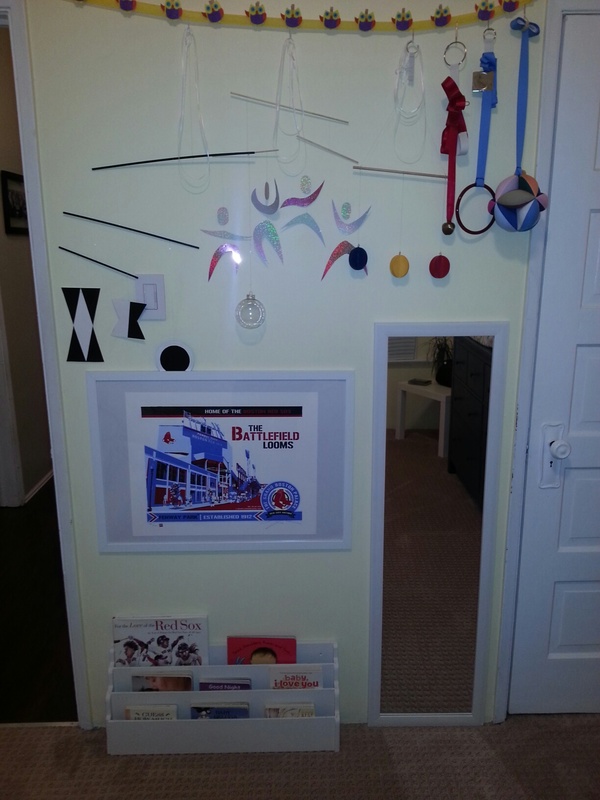 The fishing line attaches to the center of the top dowel and this will hang the Munari above the child’s movement mat. The top dowel is about 42 cm/16.5 inches long. From one side hangs the glass ball and from the other side hangs fishing line to the next dowel. The second dowel is about 2/3 the size of the top dowel. From one side hangs a black and white circle and from the other side hangs fishing line to the next dowel. The third dowel is about ½ the size of the top dowel. From either side hangs the two remaining black and white figures. The first thing you need to find out is the diameter of your sphere. 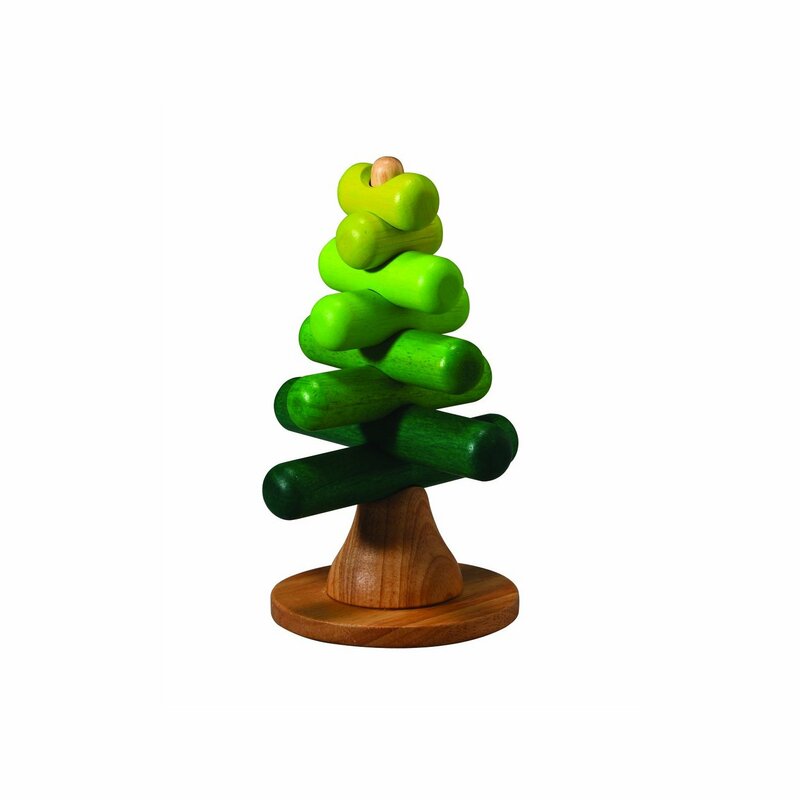 This will be called ‘A’ in our formula. ‘A’ will also be the inner circle of the two dimensional circle. On one side the inner circle is white, the other side is black. The outer circle will be called ‘B’. ‘B’ is equal to A plus 1/3 A. The next shape (looks like two trapezoids together) starts as a square, which has each side equal to ‘B’. Measure the square half-way on each side and connect that dot with the two opposite corners on both sides. That will show you where you need to cut to make it the shape of the two trapezoids together (shortest length touching). You will do the same with the other one that goes on the back. The other larger one begins as a rectangle, with two sides ‘B’ and the other two sides being 2’B’. Do the same thing for the rectangle as you did for the square. First you cut the paper on the long sides, and then you trace the black and white for the middle. The shapes are attached to the dowels with fishing line. 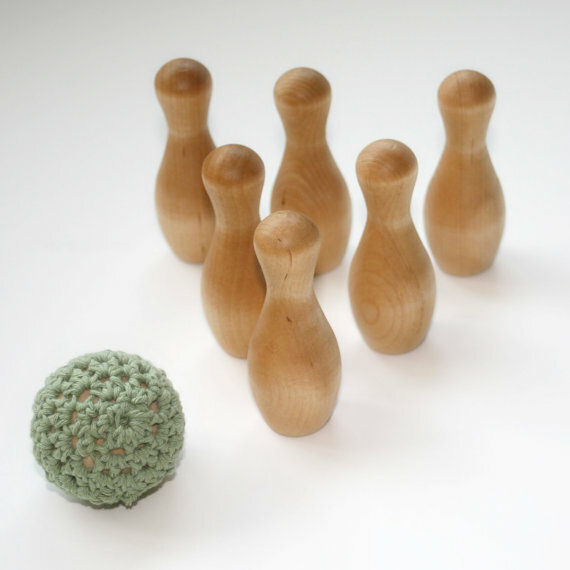 The length of the line for each shape will be determined by the diameter of the ball and the balancing point of each dowel. 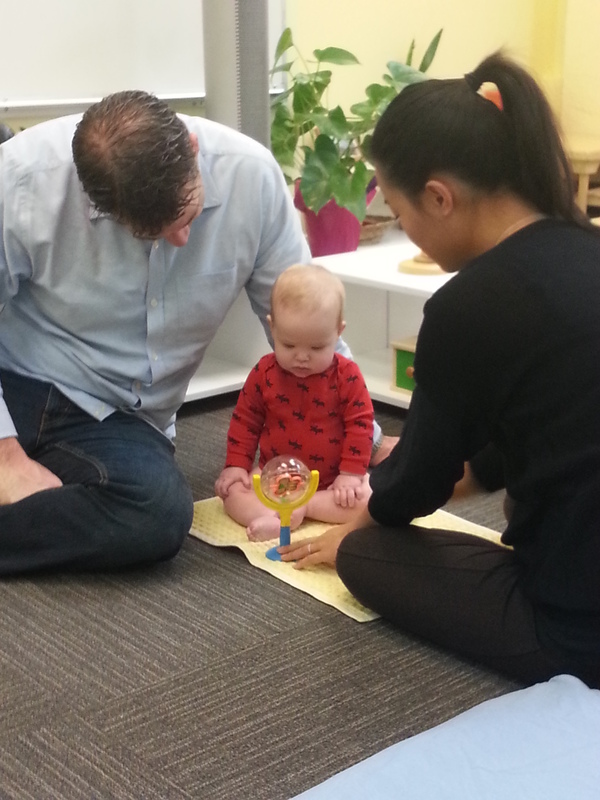 Good luck and enjoy observing your child while he or she learns to focus and track while developing concentration and independence! Each stage of development goes so fast that it’s important to be prepared ahead of time in order to help the child achieve each milestone. 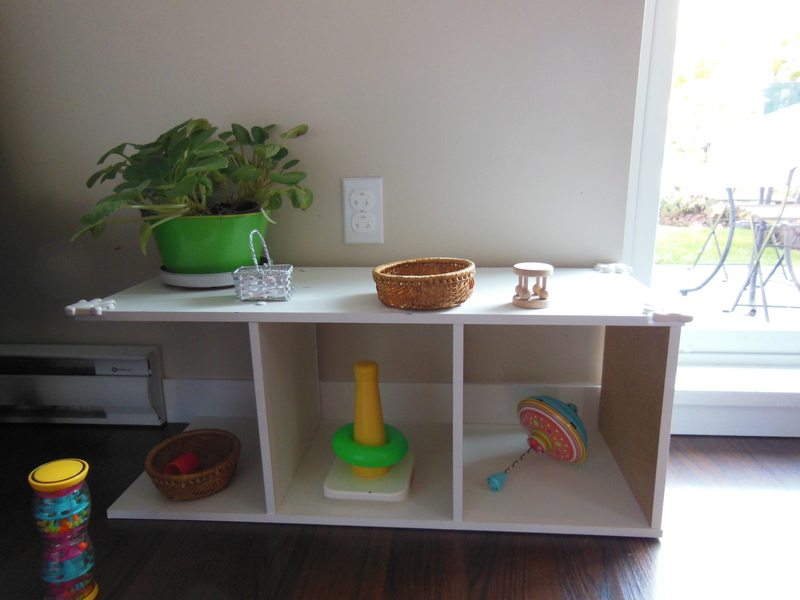 My husband and I decided to set up our home in a way that would allow F to explore her surroundings freely. 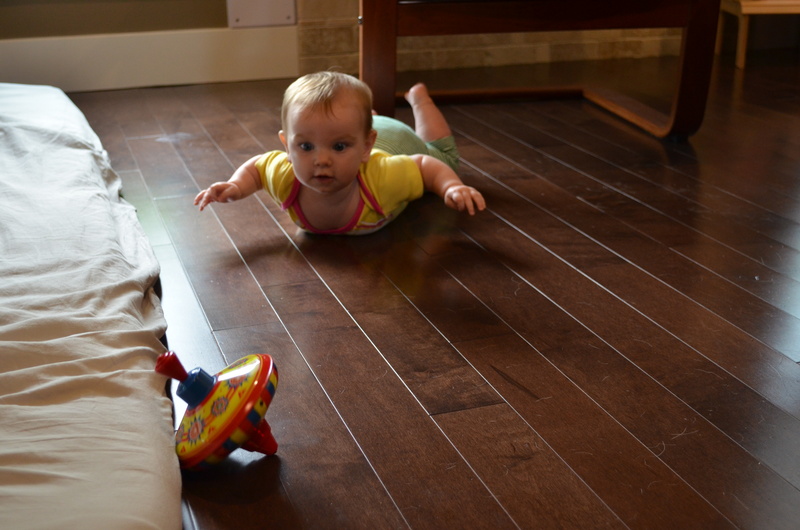 We believe that having the ability to explore the environment enhances cognitive and motor development, since the child sees something across the room and is able to crawl, creep, roll over or walk towards it to explore and manipulate it. 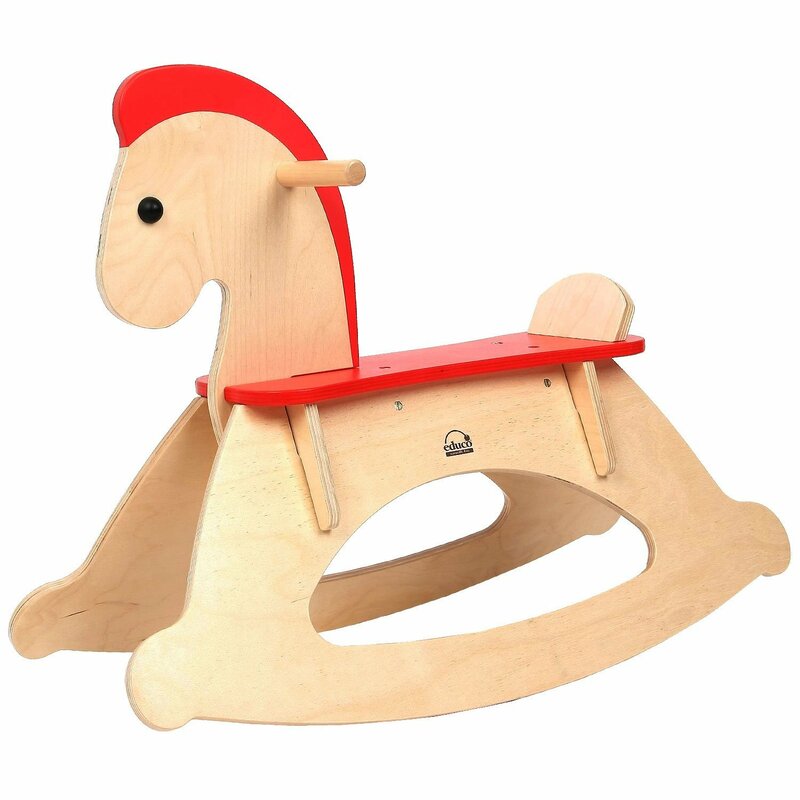 If the child is placed in an exersaucer, bouncy seat or play pen the child has to wait for an adult to place a toy in front of him/her and play with whatever he/she was given. 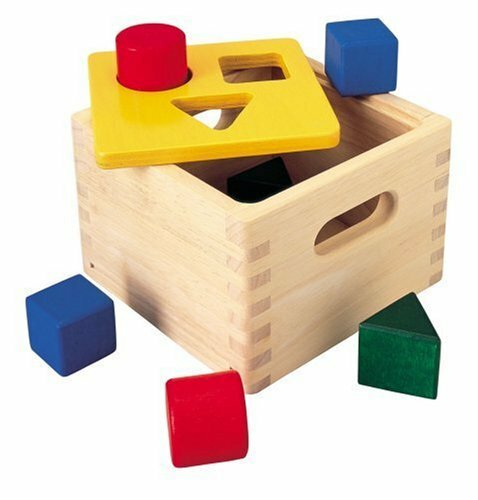 This doesn’t allow the child to play, move and most importantly, it doesn’t give him/her the opportunity to choose what he/she wants to play with. 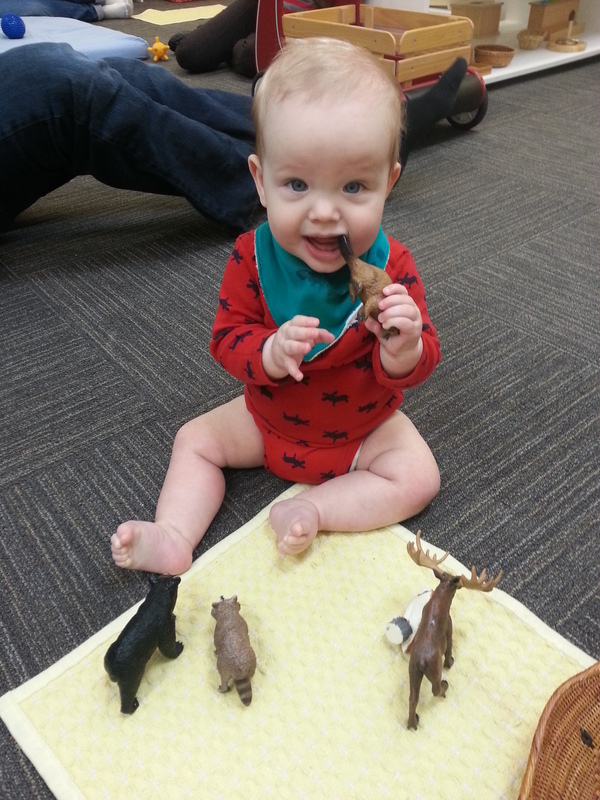 In Montessori we pay a lot of attention to preparation of the environment and the selection of the materials (toys). We believe the prepared environment gives the child the best opportunity to develop the different stages of development; therefore, it is necessary that the adult spends time to carefully select and choose what is best for the child. 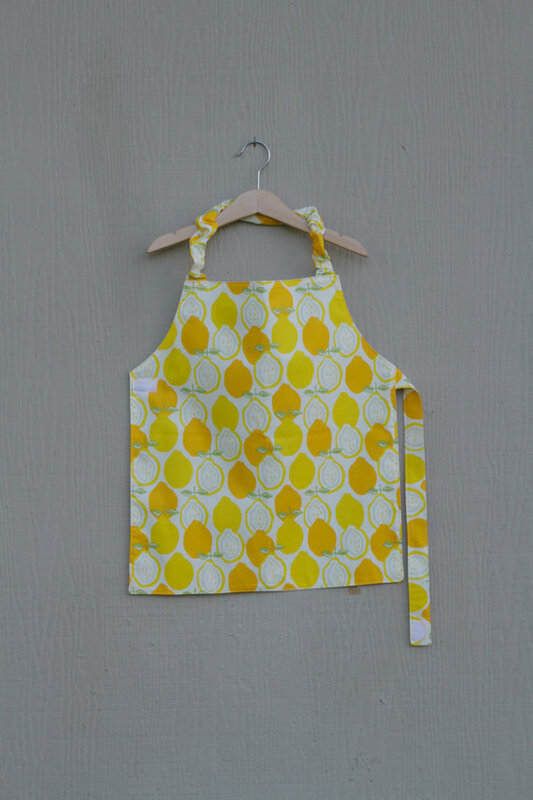 When choosing the materials (toys) we have to make sure they are child size, they are beautiful and have an intelligent purpose. 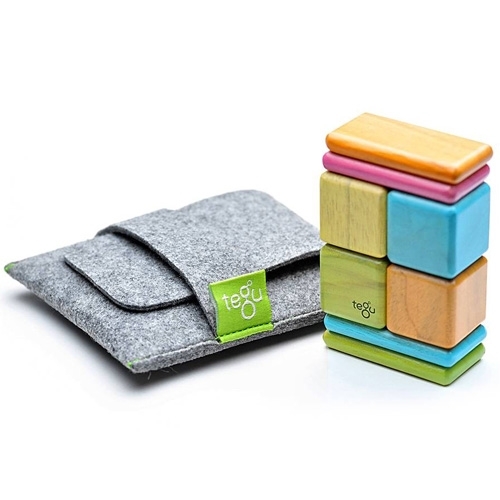 We chose toys that would help F enhance hand-eye coordination, help her develop attention and concentration, give her a sense of accomplishment, develop visual skills, encourage her to coordinate her movements, help with balance and eventually help her develop the process of independence. As well as covering the plugs, removing poisonous plants and materials with toxins, securing cabinets, etc. 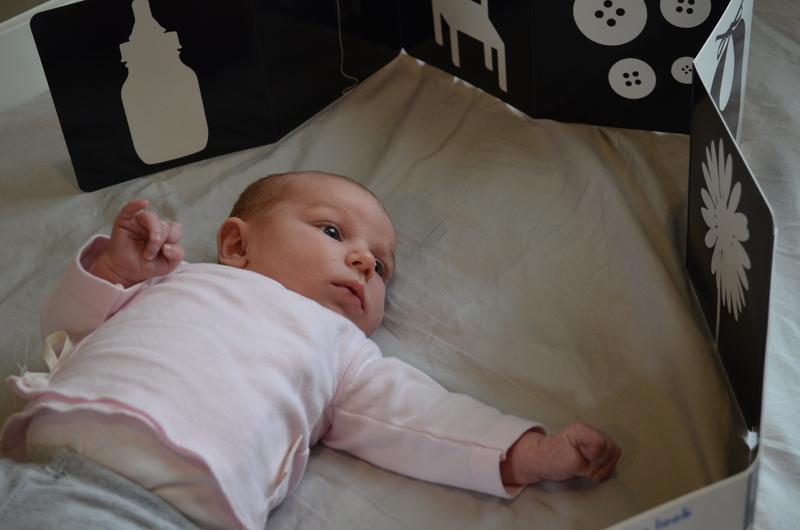 we made sure that there is something interesting and safe throughout the house for her to see, touch and learn from. 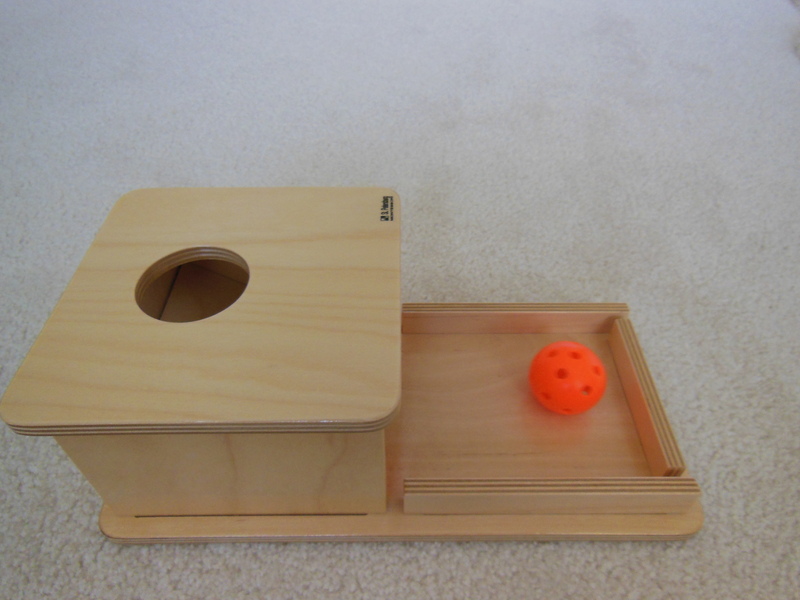 A box with a tray and ball to help her with the process of object permanence (something that is out of sight doesn’t mean it is gone forever), the ball disappears briefly then comes back; this material also enables her to work on her hand-eye coordination, cause-and-effect. 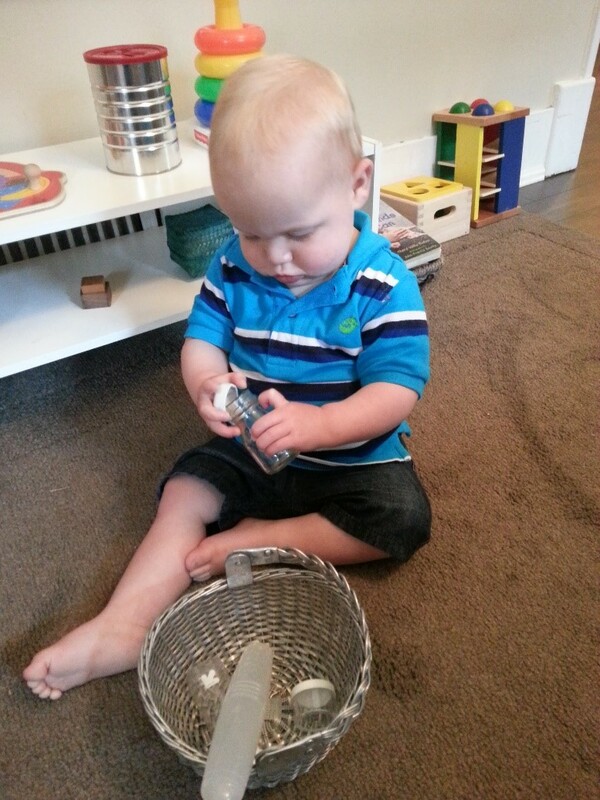 On a different corner there is a basket with different balls of various textures, sizes and weighs for her to touch, roll, explore and compare (with this activity she is choosing, comparing, tactile input, measuring size, texture, colors, etc.). 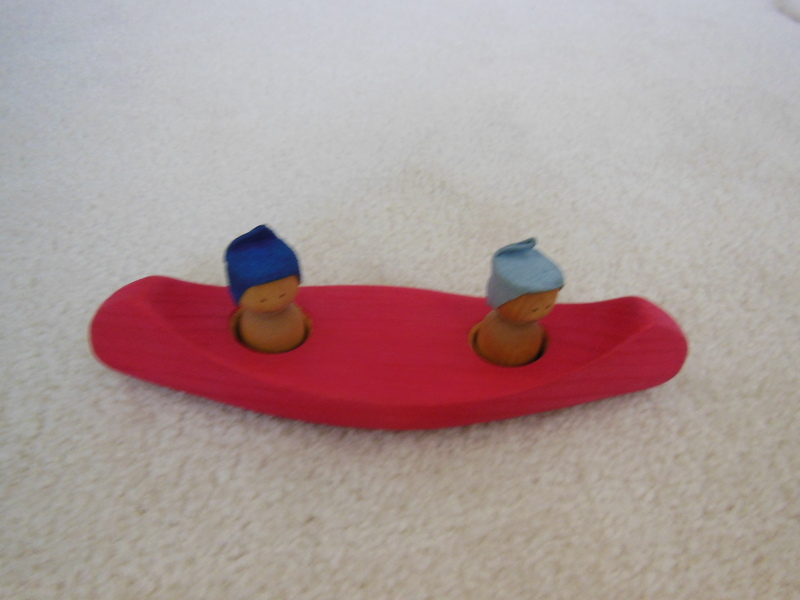 A little wood boat with two wooden toys that she takes out of the boat and tries to put back into the wholes. 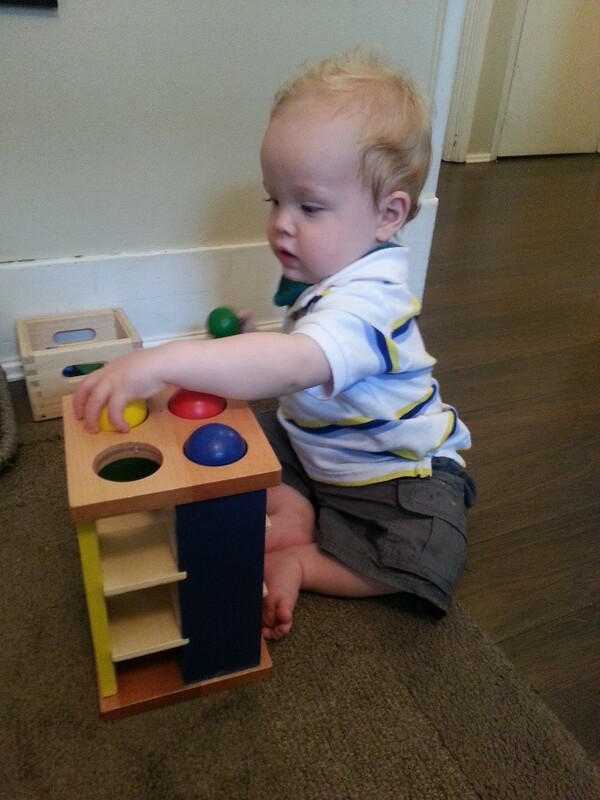 She is working on her fine motor skills, hand eye coordination. A basket with different musical instruments a rattle, egg shaker, bells. 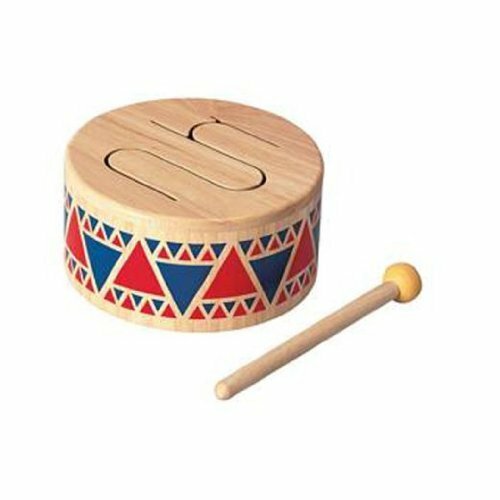 With this activity she is able to refine her hearing and explore the different textures and sizes of the musical instruments. A box with balls to push, her favourite toy in the room. She loves pushing the balls down and watching them go out of the tray. 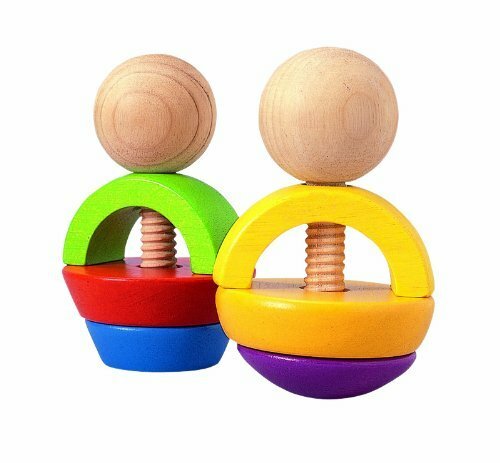 This toy is strengthening the muscles of her hands and fingers; as well as, developing her hand-eye coordination, it also helps her understand cause and effect when she pushes the ball down is goes through the hole and falls down. A low shelf with a book. 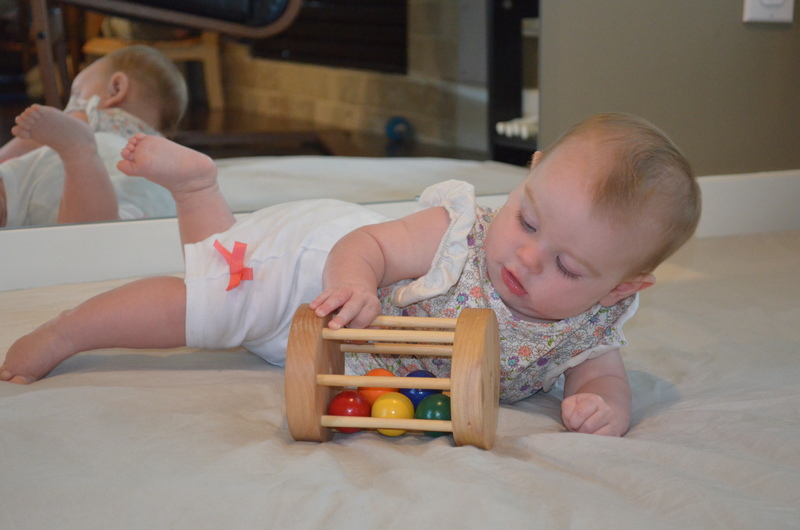 A wooden toy (egg and a cup) helps her with hand-eye coordination and to cross the midline. 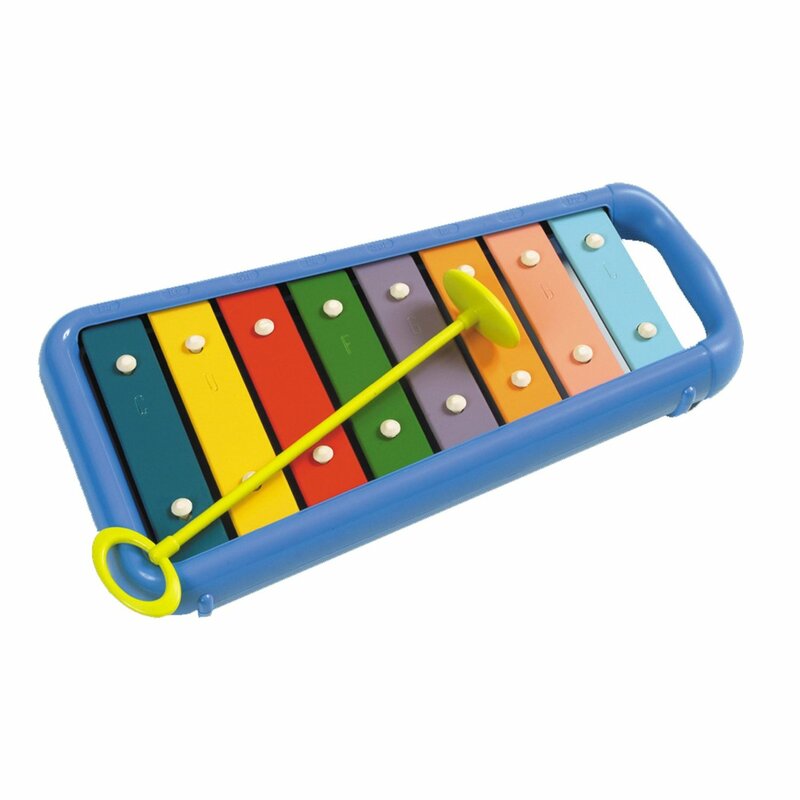 A xylophone for hand-eye coordination and music appreciation. A metal top, a little metal basket with a fabric flower that she takes in and out, a toy with pegs and rings. 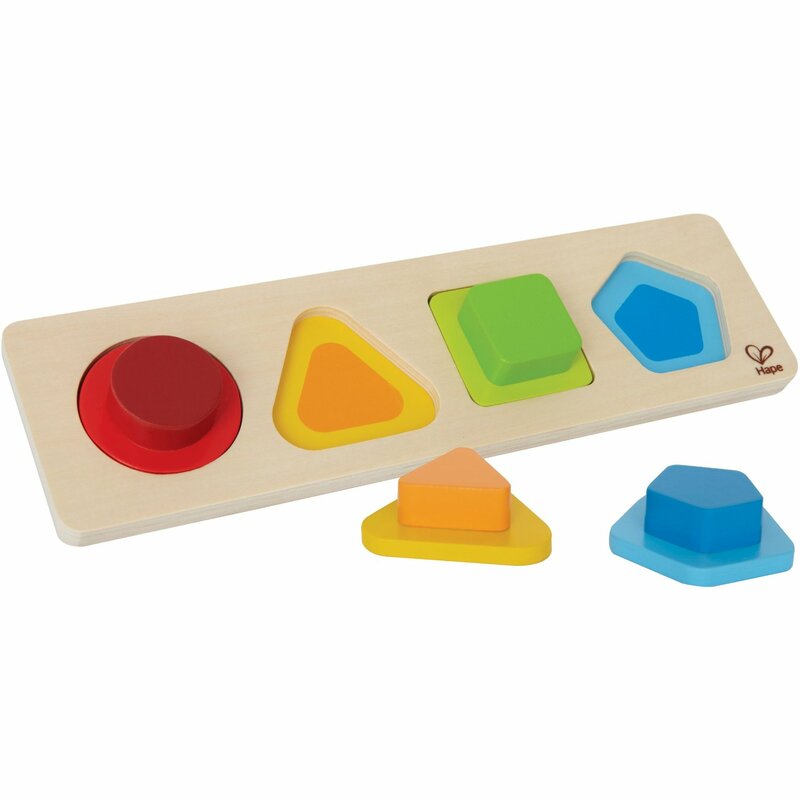 All of them help her with hand-eye coordination and refinement of fine motor skills. I also placed some cube magnets on my husband’s metal desk that she loves. All of the materials listed above are changed slowly, after she loses interest or masters a skill or moves on to a different milestone. Low furniture, such as our sofa, an ottoman, etc. 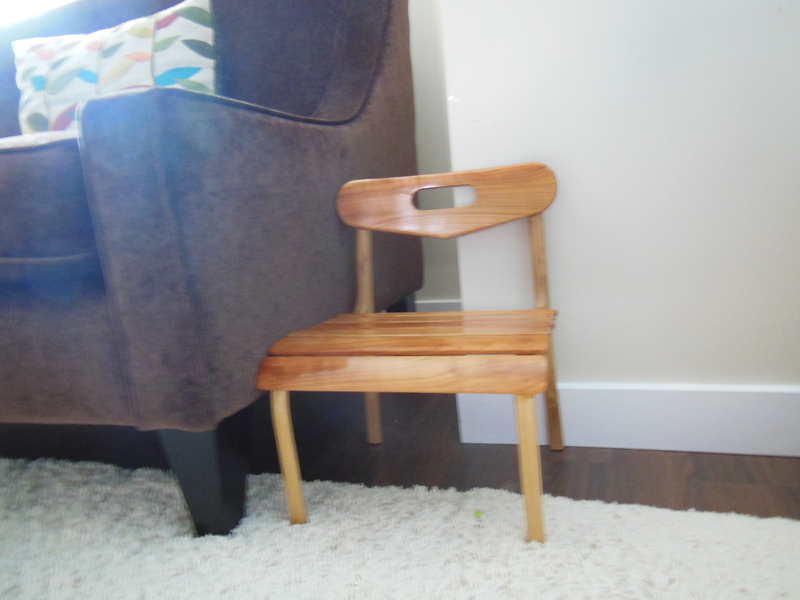 She has a beautiful handmade wooden chair that she uses to pull herself up and holds on to the sofa while practicing standing up and sitting down. 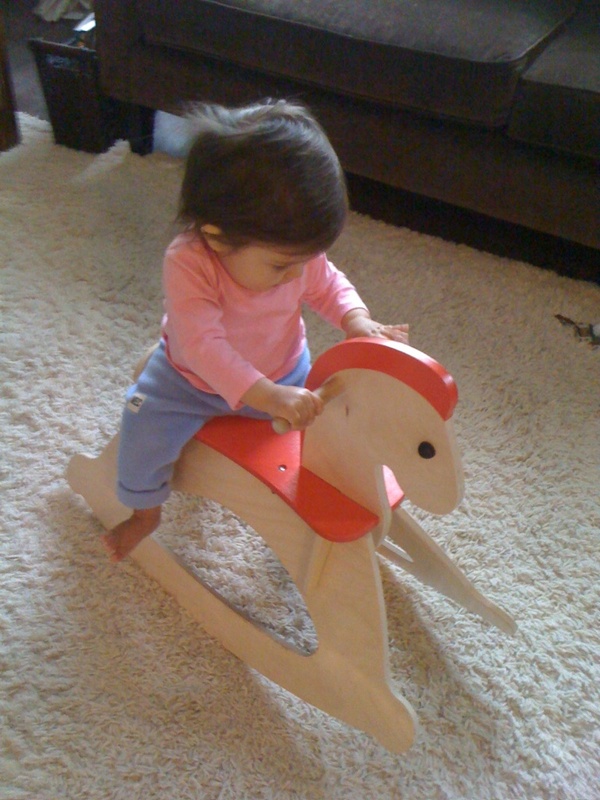 She is on her way to cruising (walking along furniture). 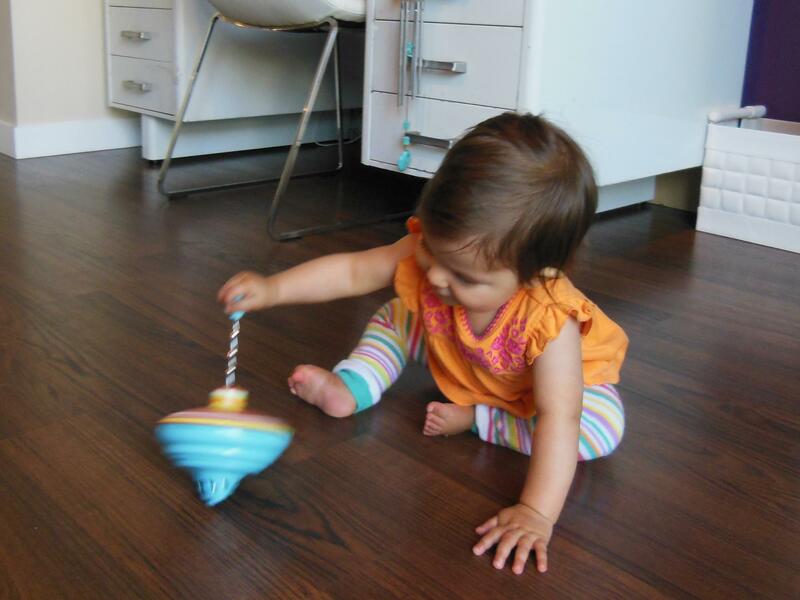 There is a wind chime that she enjoys moving as she crawls by. A bucket with some rocks that she places in and out of it chews on them and manipulates. Most important, she explores the grass, the stone path, and the plants. 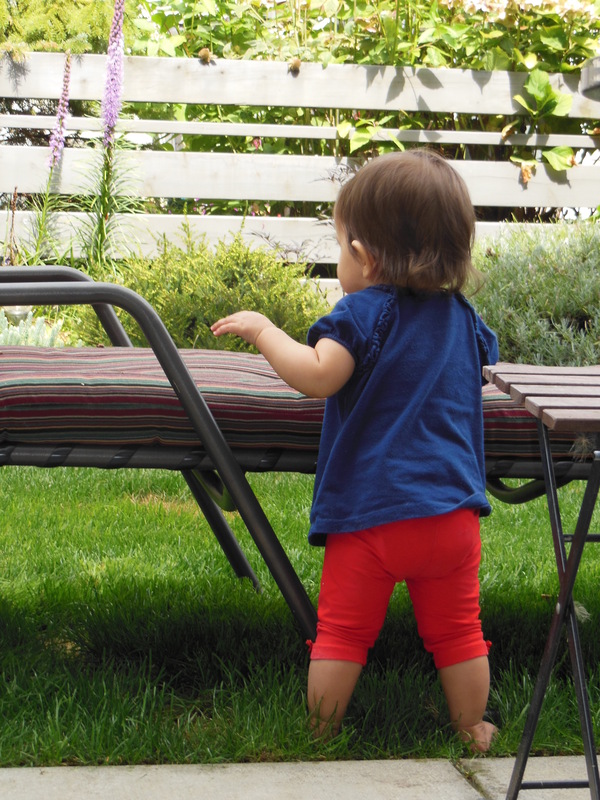 A low lounge chair for her to practice standing, cruising, pulling up and sitting down. 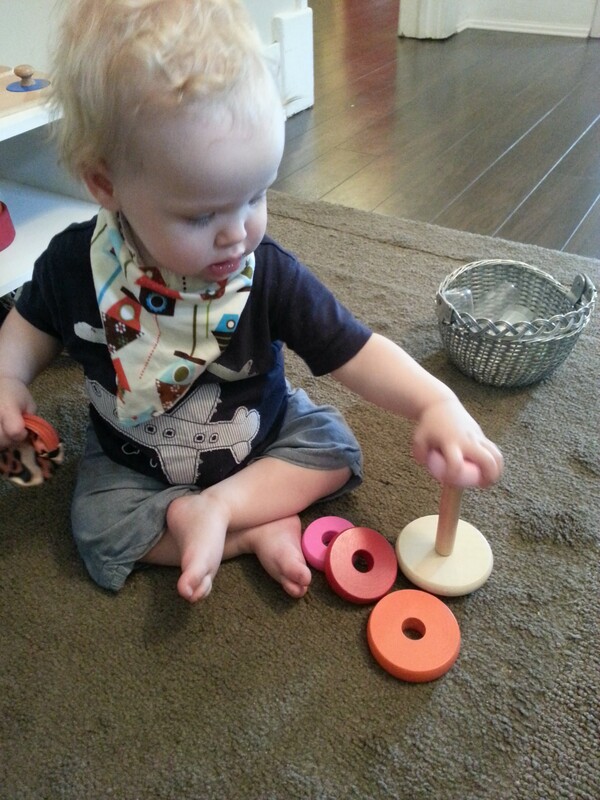 By nine months a baby understands the purpose of an object: a cup is for drinking, a rattle is for shaking, etc. 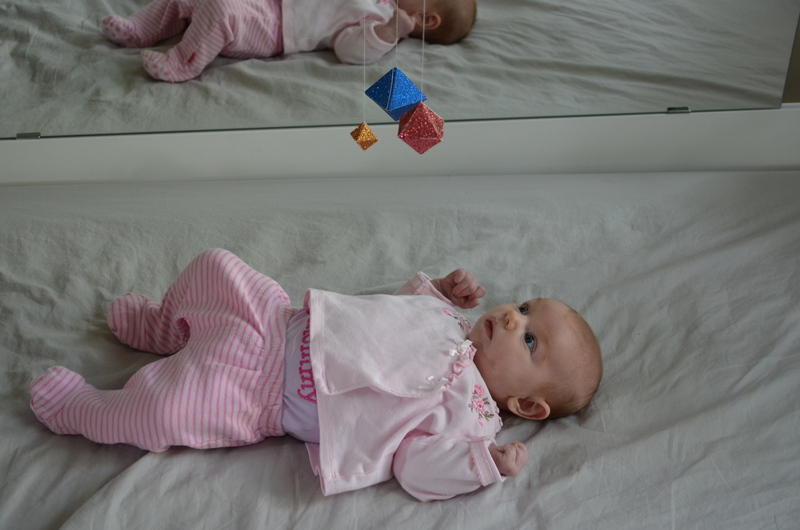 by letting her manipulate different objects we are allowing her to make the appropriate associations. It is a lot of work to prepare and maintain the environment but I enjoy looking at my daughter everyday choosing her favorite toys, crawling from one shelf to another or ignoring a shelf or a toy because she is too busy picking up a tiny little dog hair that she has found on the floor.